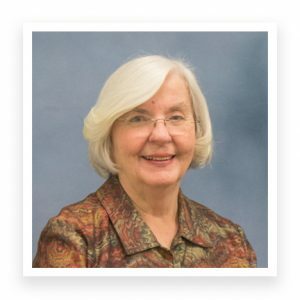 After a 20-year career as the Coordinator of LRC Services in the Learning Resources Center in the College of Education, Harriette Huggins is retiring at the end of December. But that does not mean she will be slowing down, as she carries on her passion for social justice and spends more time with her children and grandchildren. Huggins graduated from Robert E. Lee High School in Jacksonville, Florida. One of her classmates was future College of Education professor Randy McDaniel. Auburn was very different then – Cliff Hare stadium had a capacity of less than 40,000 and the student section started on the 50-yard line in the West stands! After graduating with a degree in clothing and textiles in the College of Human Sciences, Huggins earned a teaching certificate and taught home economics in Florida. After two years teaching she embarked on a second career as linens and domestics buyer for J.B. Ivey and Co. in Jacksonville. After two years in that position she returned to Auburn and earned her Master’s degree. The two graduated on December 8, 1970. They were married 11 days later, on December 19. The newlyweds moved to Albany, Georgia, where Huggins enjoyed her third career as an Extension 4-H agent, and Johnny was a facilities engineer with Rockwell. It didn’t take long for Huggins to experience a memorable weather event. When Piet was a year old, the family moved to Winchester, Kentucky, east of Lexington. Daughter Jana was born in 1978 at A.B Chandler Medical Center, University of Kentucky. During their time there the family learned that the First Saturday in May is one big party across the state – not just at Churchill Downs! Huggins volunteered in the library at the neighborhood school – helping to catalog, circulate, and shelve books, and read to classes. She was the president of her children’s PTA and attended the national convention in Little Rock, Arkansas where she met both Gov. Bill Clinton and his wife, Hillary, who gave the keynote address at the convention. The whole family was involved in church, Scouting, soccer, and music. Huggins recently celebrated her 20-year anniversary in the LRC. Huggins was able to serve the greater University community as the chair of the Administrative and Professional Assembly during a tumultuous time in the University’s history. In addition, she was one of the founding members of the Women’s Center Advisory Board. She made lasting friends and still appreciates the passion and integrity of her colleagues across the campus.